New Xbox Live Experience launches November 19 - but who was first to invent avatars? In the run up to the launch of the much-hyped new Xbox Live Experience on 19 November, Microsoft boss Don Mattrick claims to be the first person to have designed controllable 3D human avatars. 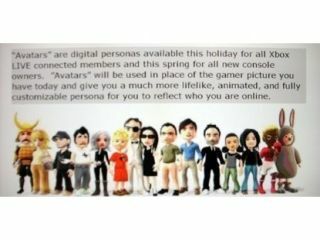 Mattrick told Official Xbox Magazine: "I'm claiming to have invented avatars! I did 4D Sports Boxing! Do you know what 4D Boxing was? Hey, you should be writing this! That was me." "C'mon! It's human, it's in 3D, it has a face - it was genuinely the first time there was something human-shaped in 3D! Look it up! "It was a starting point! Come on, we were the first guys to do it," he added, telling OXM, "I worked at EA and helped pushed the concept with a few games you might have heard of - this one called The Sims - you ever hear of that? That had a few sort of 3D characters in it! Then a little one called Ultima Online, know that one?" Mattrick has been vocal in defending Microsoft against accusations of 'copying' Nintendo's Mii avatars. "Microsoft started out with the idea of identity, achievements and billing," said Mattrick. "We're the ones who really brought innovation to the online space." You can read TechRadar's recent interview with UK Xbox boss, Steve McQueen for more on this and everything else Xbox 360 related in the busy run up to the 'holidays'.